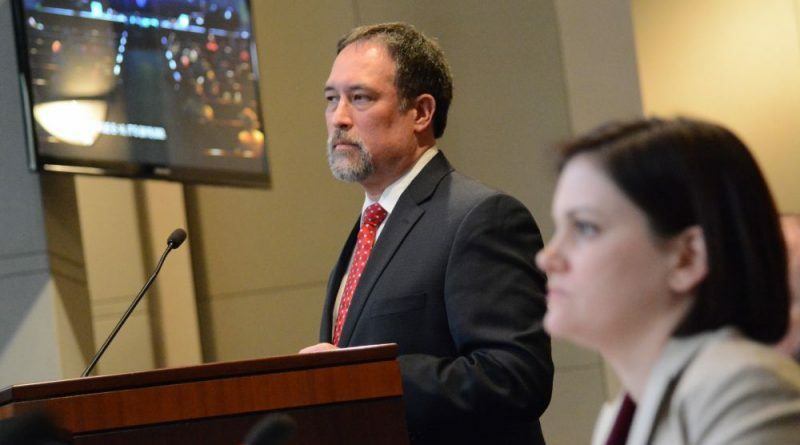 County Administrator Tim Hemstreet has given the Board of Supervisors a starting point on budget deliberations that adds 176 full-time equivalent jobs and all but guarantees a cut to the real estate tax rate. The $2.5 billion budget comes after years of tight revenues, and Hemstreet and his staff propose to knock a penny off the real estate tax rate to $1.135 per $100 of assessed value. In fact, the county has only advertised a rate of $1.14 in public notices, a half-penny below the current rate, meaning the board would have to start that process over and advertise at a higher rate to even match the current tax rate. The proposed $1.135 rate is also a half-penny below the equalized rate, meaning that on average—if supervisors stick to that rate—homeowners can expect tax bill dollar figures to shrink even as their houses have appreciated in value. The county stands to have a lot more of those staff members, as Hemstreet has proposed 176.09 new full-time equivalent positions, a budgeting method to measure the equivalent of a full-time job among full- and part-time positions. Many of those positions would fully staff new facilities opening in the county, including 68 FTEs for Parks and Recreation at the Dulles South Multipurpose Centers; 40 FTEs for Fire and Rescue at the Kirkpatrick Farms station; and 35 FTEs at the Brambleton Library. Many of the other proposed new positions are in administrative and support positions to address service level concerns. County departments have told the board they are strained to keep up with the workload of a growing county while their staff numbers have not increased at the same pace. Under Hemstreet’s proposed budget, the schools would receive an operating fund transfer of $770.4 million from the county, an increase of $61 million or 8.8 percent over the current year. That would come up only $3.5 million short of the School Board’s request. The schools would be projected to receive $1.16 billion overall, based on the county’s current estimates of state and federal funding. The budget also proposes to eliminate the county transit program’s reliance on the 2-cent gasoline sales tax a year earlier than planned. That revenue, estimated at $7.7 million in fiscal year 2018, is mostly unallocated, giving supervisors the option to bank it for future Metro costs. The county’s bus system next year would be funded from the normal operating budget. Purcellville and Leesburg are still proposed to get allocations of gas tax revenue in fiscal year 2018. Leesburg would receive $787,774 and Purcellville, $143,733. In fiscal year 2019, all gas tax revenues will be dedicated to Metro. Despite the relatively flush budget year, Hemstreet also conveyed a number of critical needs that didn’t fit into his recommended budget for supervisors to consider. Among those are a capital budget analyst, inspectors for the Fire Marshal’s Office, and funding for expanding the sheriff’s body-worn camera program. If the board were to adopt the higher advertised rate of $1.14, Hemstreet said, it could fund the School Board’s full request and many of the unfulfilled positions on the critical needs list. Randall gave the Department of Economic Development and its director, Buddy Rizer, credit for much of Loudoun’s financial windfall by helping build up the county’s business base. She also said the county will need to address staffing shortfalls, which she said can cost the county talented employees and training costs from turnover because of stress or better salaries elsewhere. The board will hold public hearings Tuesday, Feb. 28 at 6 p.m. Thursday, March 2 at 3 p.m., both at the Loudoun County Government center, 1 Harrison St. in Leesburg. It will hold another Saturday, March 4 at 9 a.m. at the Loudoun County Public Schools Administration Building, 21000 Education Court in Ashburn. The board is expected to make a final vote on the budget Tuesday, April 4. Not words we often hear. The tax rate should be no higher than $1.12. For the last 3 years, official audits showed LCPS couldn’t even spend $14M/$24M/$34M in its FY14-16 budgets. And they add another gratuitous and completely unnecessary $10M raise (over and above step increases). These alone can shave 4+ cents off the BOS budget and show for the county’s critical positions to be filled. FY18 will be the last audited budget before the 2019 election. If BOS don’t want a concerted campaign against their profligate spending on LCPS, they should take a long hard look at the wasted taxpayer $ they send over to the castle. Note that Loudoun Times-Mirror has censored multiple similar comments on their page. 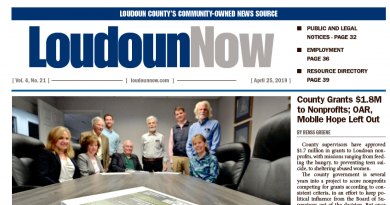 The Loudoun Tribune bans users who post comments with which it disapproves. Pretty sad state here in Loudoun. Only one newspaper allows comments that criticize the government through. Maybe Loudoun Now should be rebranded as the Loudoun Free Press because it is the only non-censored outlet in the County. It is sad, but true.